Crazy, creative and a flair for the dramatics. 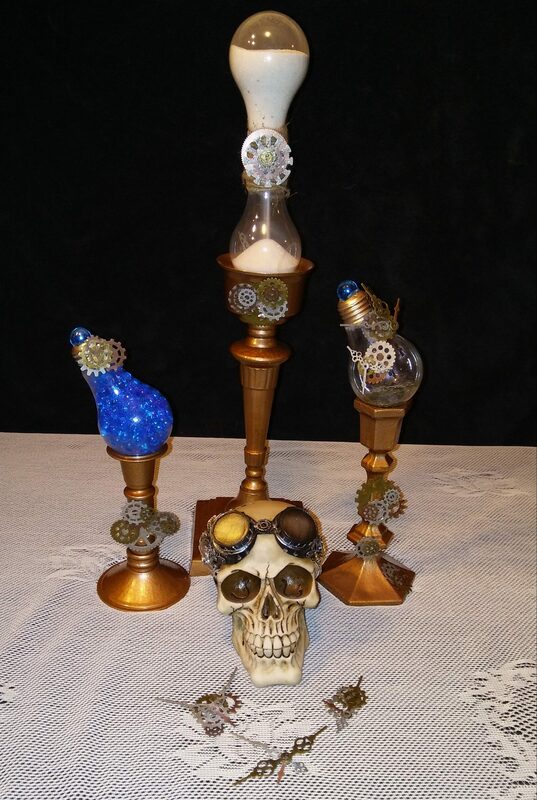 Take a walk with me as I show you some fun and simple DIY's that range from simple Steampunk DIY projects to stand on your head, pray to the gods and make a minor sacrifice Steampunk DIY projects. I may even through in some other crazy shenanigans. Tick Tock. Tick Tock. It's time to look a little deeper into Clockpunk. Clockpunk, Steampunk, Dieselpunk, Atompunk, Mythpunk, Oh My! A review for a non-fiction guide for beginner and advanced crafters. Steampunking without gears. It isn't as impossible as you think. It's only smidge impossible verses the neigh high impossible. In the beginning there was insanity and a love of all things shiny.